— The Santa Clarita Valley Economic Development Corporation (SCVEDC) continues its mission of strengthening companies and unifying our region’s approach to economic development. Our overarching goals are to support the creation of high-paying jobs for our trained workforce, stimulate economic activity that grows the regional tax base, and strategically position the Santa Clarita Valley (SCV) and its businesses to better compete in the global economy. Each year we report out on key accomplishments that help further our mission of attracting high quality jobs to the Santa Clarita Valley and assisting local companies with a variety of business services to help them succeed. 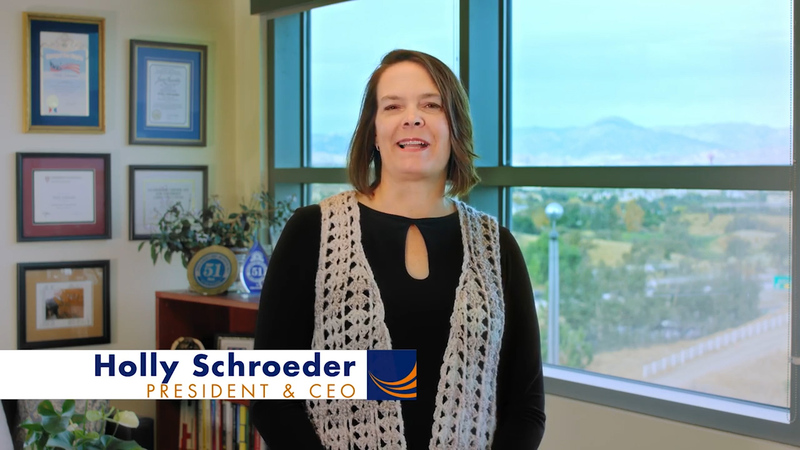 The SCVEDC is as strong as ever, with a talented team and a dedicated Board of Directors. Their dedication is vital to the success of our organization and the business community at large. Business in the Santa Clarita Valley is growing. For the first time since before the great recession, we have new industrial buildings available for lease. We have new space in the County available at both Gateway V and IAC. In the City, Needham Ranch started construction on its first phase last year and we anticipate that buildings will be ready for occupancy in late 2018/early 2019. These are great opportunities for high-quality job growth in the SCV. Notable this year is that nearly half of the businesses we worked with were expanding SCV businesses, rather than attraction projects. That means that companies in the SCV who are doing well and growing are choosing to stay here in the SCV, taking additional space or occupying new buildings. This is a great testimony for the region that these companies are choosing to grow here. Also notable this year is that we saw action in all our target industry sectors (Advanced Manufacturing, Information Technology, Medical Devices, Digital Media & Entertainment, and Aerospace & Defense). These sectors, as you know, were prioritized because they provide high-quality job opportunities and because we have a strong ecosystem to support them. We had new aerospace companies moving in, digital media companies and manufacturers expanding. Our assistance program outreach to SCV businesses also grew in 2017. We continue to meet with many local companies in our target sectors. Since we expanded this program in 2016, we are increasingly having companies reach out to us to help them solve problems. This helps further connect these businesses to the SCV community, which is a key component of our retention strategy. At the direction of our Board, we also put concerted effort into growing SCV as a tech hub. That means helping the tech and startup community flourish, and demonstrating the advantages to doing business here. We ran an extensive marketing campaign, and also supported growth in the entrepreneurial ecosystem which now, in addition to the City’s incubator, can boast of many strong networking groups, co-working spaces, and a growing roster of companies. Looking ahead, 2018 should prove to be an exciting year, and we will continue to focus our efforts on our target business clusters, using the sophisticated digital tools that we refined in 2017. I believe that the approach to economic development in the SCV is truly unique and perfectly suited to our region. As a public-private partnership between the City, the County, College of the Canyons, and the private sector, we bring together each entities’ unique perspective and assets to create a single approach to economic development for our growing region. It also effectively pools our resources and efforts. We can’t leave our future to chance, and having an integrated, unified strategy is vital to our success.